Do You Remember “Pup & Burger”? Does anyone remember the Pup & Burger, 102 Linden Court (2100 block Winnebago St.) ?? It was there ca. 1958 and was owned by George C. Vogel Jr. These photos came to the ESHC courtesy of Dorothy Browne Haines. 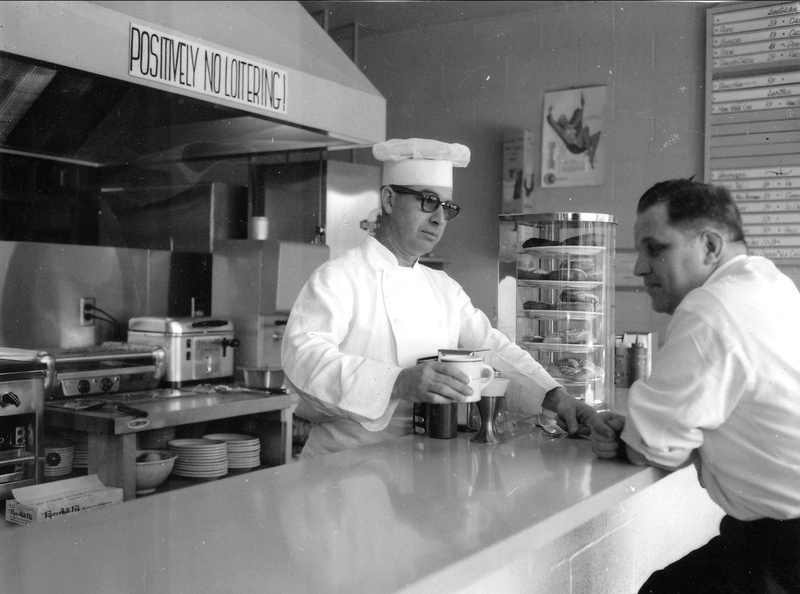 This photo of the interior of the Pup and Burger appeared in the East Side News for April 17, 1958. The caption says, “Mr. Vogel has built the restaurant in the midst of several new business buildings at the end of Linden Court. Pups and Burgers are not the only items on the menu. Vogel also serves home made chili, baked bans and baked ham, pies, rolls, sandwiches and baked goods. Mr. Vogel has had experience serving food in the Armed Service. He is also an experienced mason, and built the building which also houses Thysse Printing and Warren Heating. He also built the attractive tall sign out at the edge of the street. The customer in the photo is usually seen on the other side of the counter. He is Don Voss, Vogel’s chief assistant. Ann Waidelich met with Lindsay Adjavor of radio station WTDY in early December. “She recorded me telling about the history of the Atwood Neighborhood as part of a series of short segments about various aspects of the neighborhood,” Ann said. Listen to each of the five short episodes on the Schenk-Atwood neighborhood. Bill Freund opened the Atwood Bowling Alleys about 1920. He was born in Germany and lived in Madison for 66 years (1886-1952). He died (June 7, 1952) from injuries suffered when he was struck by a car on University Avenue. Bill’s son Carl “Cully” Freund (1907-1995) attended Central and Edgewood high schools. His bowling career started under the watchful eyes of his father, Bill Freund, who operated the Atwood Alleys at the corner of Atwood and Dunning streets until 1929 when Cully took over the establishment and was “the resident pro” until 1950. Cully was a member of the Madison Bowling Association and was installed in the Bowlers Hall of Fame in 1979. 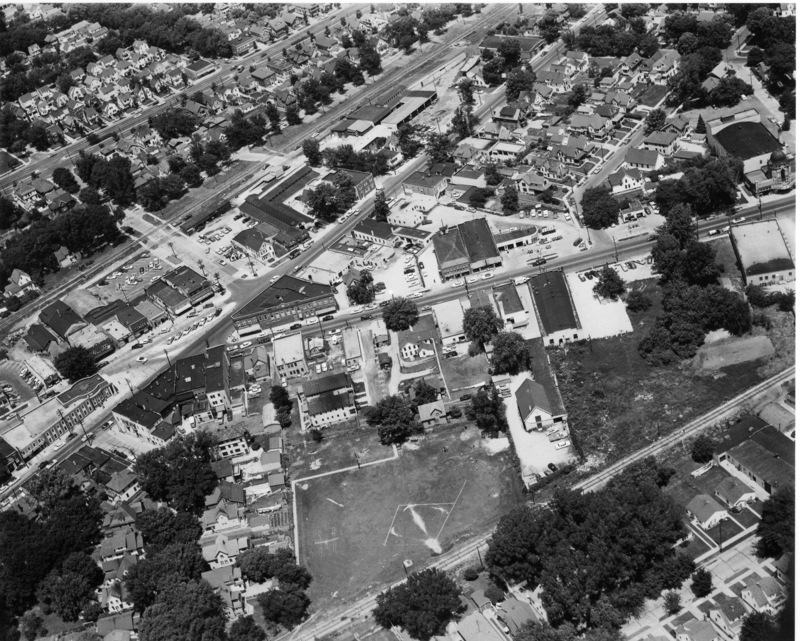 Upon the sale of the Atwood Alleys, Cully was employed by the Madison Parks Department until his retirement in 1972. While with the Parks Department he was a starter at the Monona and Yahara Hills golf courses, where his pleasant personality endeared him to may golfers. While never an outstanding golfer he did have a hole-in-one at the Monona course.